Being located in the Hunter Valley Wine Country provides many opportunities to enjoy wine. Not just the sampling. But how wine is made. See the winery, walk through old vineyards and learn the history. See how a vineyard is managed. The seasons and what they mean. Maybe try your feet at a little grape stomping. 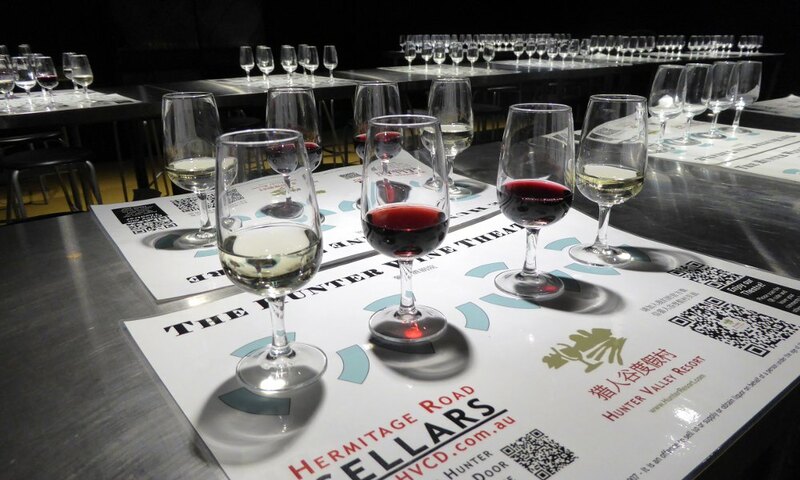 Be entertained in the Hunter Wine Theatre. This a short 15 minute movie following a grape from being harvested, right through the winemaking process until it’s bottled. The Wine School takes one a step closer to being a winemaker… What are the grape varieties? Blend your own wine. And at the end receive a personalized Wine Appreciation Certificate. Ask us – we have lots of options.